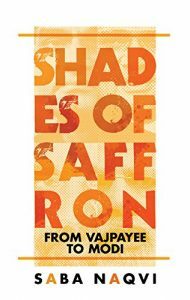 Saba Naqvi’s book Shades of Saffron: From Vajpayee To Modi traces the rise and fall of the BJP party and the differences between the two leaders. Narendra Modi was reportedly not comfortable with the way Prime Minister Vajpayee was projected in 2004. At an internal party forum he had said, according to good sources, that wooing Muslims was a fruitless exercise as they would never support the BJP. Moreover, in his perception, chasing Muslims alienated Hindus. The prime minister’s speech at Kishenganj in Bihar, when he had offered to create jobs for two lakh Urdu teachers, had in particular invited Modi’s criticism. The Himmayat (meaning, support in Urdu) Committee in Uttar Pradesh, set up to sell Vajpayee to the community, also came up for severe criticism after the poll debacle from certain sections of the party and the RSS. For instance, one of the buses used by the Himmayat had a picture of Vajpayee and Musharraf. ‘When you use a picture of a Pakistani to sell a Hindu party like ours to the voter, you should know that the BJP has lost its way,’ said a former MP from UP who was badly trounced in the elections. In retrospect, the so-called wooing of Muslims in 2004 was indeed taken to ridiculous levels. There were also sniggers about a publicity film starring Delhi’s Imam Bukhari—famous for issuing fatwas that Muslims ignore—appealing to the community to vote for the BJP. In the end it was clear that this forced wooing of Muslims, which was nothing but a side-show of the India Shining campaign, had failed miserably and given more ammunition to the hardliners within the party to go back to the original agenda—focus on ideology, and forget everything else. The BJP’s defeat in seats that included Kashi, Mathura and Faizabad (Ayodhya) was particularly humiliating. In these polls, there was not much of the ideological element and the focus was on development and leadership. Perhaps the softening of the ideology and the attempt to project a secular face did not enthuse party workers or core voters. We have to ensure that our core doesn’t get put off or demoralised, and stays with us. The ‘pro-Muslim’ or ‘Hindu’ debate notwithstanding, the BJP had lost its core urban support base. The India Shining pitch had come a cropper because it failed to address the concerns of rural India. A closer scrutiny of the results, however revealed that the BJP was rejected even in those parts of India that should have benefited from economic reforms and logically ‘felt good’ about their glittering new malls promising consumer nirvana. In Delhi, where the party had held all seven seats, it won only one. The results from Mumbai, the industrial capital of India, were perhaps even more shocking, where the BJP had a pre-poll alliance with the Shiv Sena. 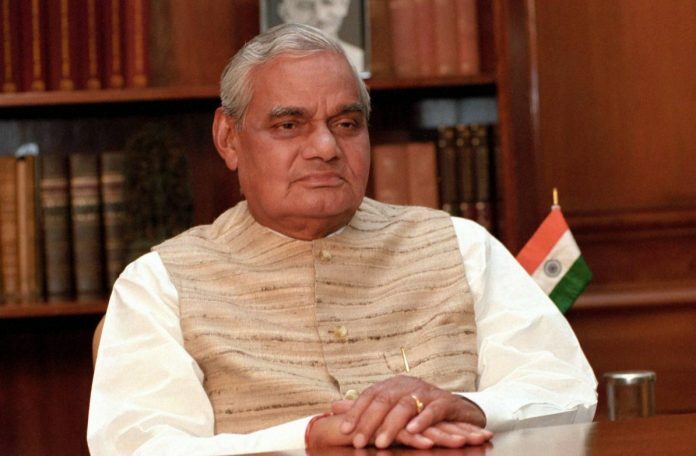 Several high-profile members of the Vajpayee government, including the then Lok Sabha Speaker, Manohar Joshi, lost. An even bigger upset was actor Govinda of the Congress, un-seating Union Petroleum Minister Ram Naik from Mumbai north, which he had won five times with record margins. In all, twenty-six members in the Vajpayee council of ministers were defeated. While most of the star speakers of the BJP—Arun Jaitley, Sushma Swaraj, Pramod Mahajan and Jaswant Singh—were in the Rajya Sabha, veterans like Yashwant Sinha and Murli Manohar Joshi who came through the Lok Sabha were defeated. It was indeed an epic defeat. And then began the free-fall.